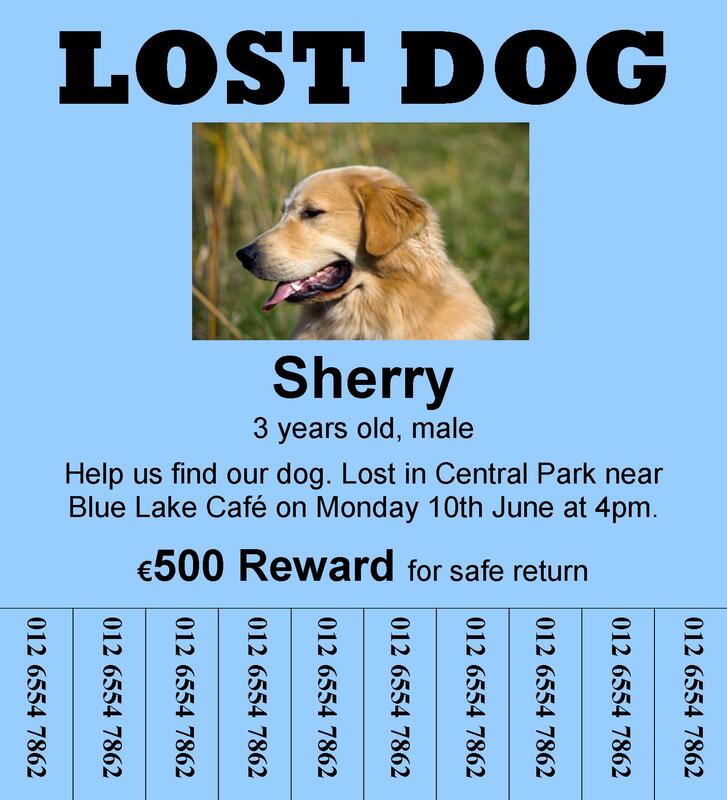 The dog's owner has made a poster with a picture of the dog, offered a reward and reported the loss to the police. What else can he or she do to find the dog? Write your ideas below.